It has an elegant sheen and will not fade or change colour over time. Due to its strength also it’s a popular choice for jewellers due to the strength it provides the diamond setting. It is a hypoallergenic and due to its strength, it is also a perfect choice for the women who is always on the go. The natural white silver tone can unintentionally highlight any colour present in your diamonds. Most platinum engagement ring settings do best with a diamond colour ration of F+ to find out more visit our website to learn about 4c’s the diamond grading system. Platinum is also considered to be the most precious of all metals due to its rarity and is mined much less frequently than gold. The density of this metal is much greater than gold, so the same ring will weigh significantly more in platinum than in gold. Here at Love Fine Diamonds, we strive to bring you both quality and value no matter what your budget is. We believe in Merging exquisite, natural, diamonds with our own designs exclusive to Love Fine Diamonds. Our diamonds are sourced from mines all over the world to bring you the finest quality stones, of outstanding colour and clarity using only GIA, certified conflict-free diamonds. Palladium is part of the platinum family. With a similar colour to platinum, the only real difference is the density of the metal, being nearly half the weight of platinum on its own, making it a cheaper alternative. Alike platinum this metal choice is hypoallergenic. Palladium can become very brittle when reheated, making it paramount your ring is sized correctly by a professional jeweller. Although this metal choice is cheaper, it doesn’t come down the same durability or platinum. Also, it won’t give your ring the same lushes weight associated with Platinum. Gold is a versatile metal and is a more traditional option. Gold comes in four main colours, Yellow Gold, White Gold, Red Gold and the more unique and less commonly known as Green Gold. Yellow Gold – a mixture of copper and silver to counterbalance each other so the metal keeps its yellow warmth. Red Gold –has a higher percentage of copper to give it its unique red tint. White Gold – mixed with palladium, a member of the platinum family provides this metal with it’s cool lust. Green gold – a mixture of silver and pure yellow gold, only once the metal is polished and sandblasted the Gold achieves it’s greenish like tinge. Yellow gold, is a traditional metal option, providing a warm yellow glow. Yellow gold is a soft metal, at Love Fine Diamonds we recommend the tarnish-resistant and durable18ct yellow gold. This metal choice is also more malleable making it easily configured into an infinite variety of designs. 24ct Yellow gold is the purest form of gold however as it’s so soft the metal won’t hold its shape even with normal wear. 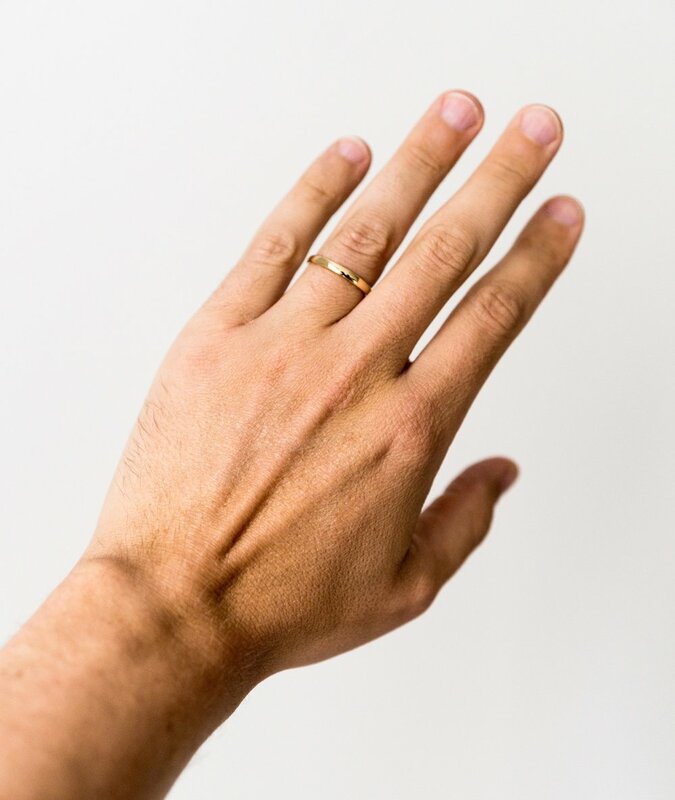 Even when combined with other metals to form a stronger alloy, a gold ring requires a yearly checkup to check the diamond setting of your ring. At Love Fine Diamonds we offer a lifetime complimentary inspection of your rings along with a polish to help from your bring back to showroom standard. A contemporary choice, white gold has a clean white tone and is ideal for those who want who want the look of platinum with the tradition and heritage associated with yellow gold. It is also a fabulous choice when accentuating the brilliance and liveliness of your diamond. The fashion industry has a long history with Rose Gold, which is more recent years has become a more popular choice. People are finding that the subtle, warm and rich tones of this copper alloyed gold suits different skin tones. Due to its Fashion driven past, at Love Fine Diamonds we feel brides are concerned after a few years this metal will fall out of fashion. However more and more we see this becoming a more popular choice of metal amongst brides. Unfortunately due to the other metals mixed into the cold to give it its unique colour gold is not necessarily hypoallergenic. Green gold is a very pale yellowish sage colour, giving a more natural appearance. Although it is mainly a very uncommon choice of metal it is gaining popularity. It is believed 10ct Green gold has the most desired colour. However due to its high quantities of silver the metal is very soft making it an unwise choice when setting precious stones. 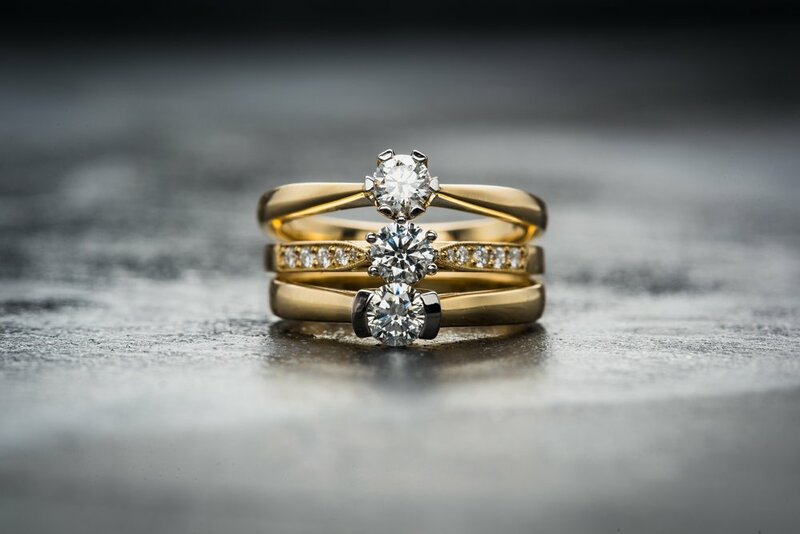 Love Fine Diamonds, a family of jewellers bringing time-honoured traditions of craftsmanship and quality to London’s famous jewellery district, Hatton Garden. Priding our selves on our unique contemporary designs, exclusive to Love Fine Diamonds, using only flawless high quality GIA certified diamonds sourced under the Kimberly process, preventing the trafficking of conflict free diamonds. We strive to go above and beyond for all our clients merging quality with value. Book an appointment today to visit our Hatton Garden studio and speak to one of our master craftsman.